This project is very close to my heart as since I was a child, I used to play with electronics. I used to open them up and desired that one day I would be able to understand it and make things like those. I remember making a torch light when I was a little child but since I didn’t know much about switches, my mother remembers that the torch remained on throughout the night until the battery drained away. I was born to be an engineer but when I graduated from engineering, I learnt nothing. Now 10 years after completing my engineering, I got inspired Aragon style “Become whom you are born to be” and I started to reignite my passion for electronics. 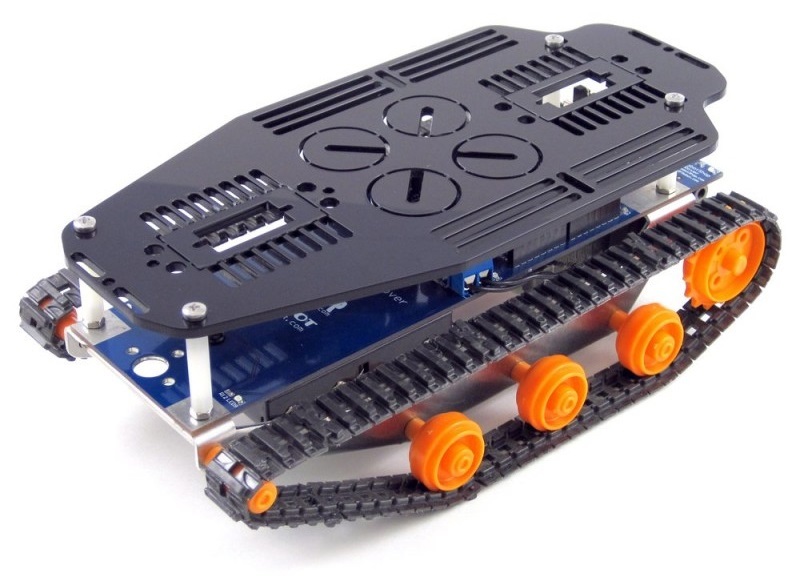 I put all my expertise of electronics and robotics which I DIDN’T learn in college and came up with this Arduino and Rapberry Pi powered Web Controlled Home surveillance rover. I have burnt a lot of cash on procuring the components as many were not locally available and little less than equivalent amount on the shipping. This component forms the brain of the whole project. This is what controls the speed, direction, brakes, etc. of the rover. Also, this is used to control the Pan Tilt mechanism for the camera. Since I have IR leds mounted up front, it is also used to switch it On and Off. You should be able to procure this item locally as it is very common amongst kids and college students. You can get it online here for around USD 30. 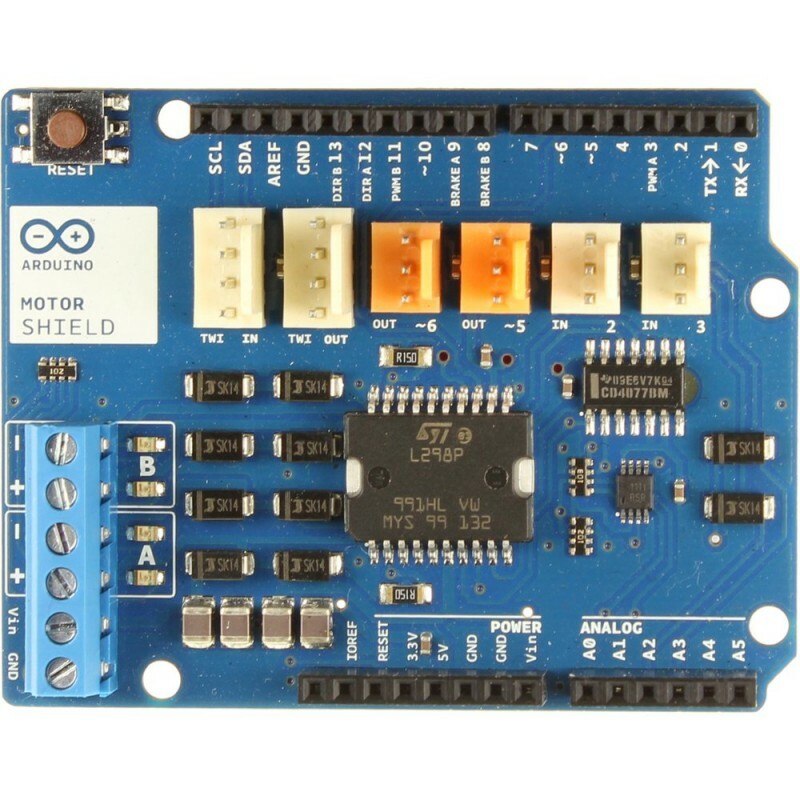 This is the Official Arduino Wifi Shield which is used to connect the Arduino to the network. 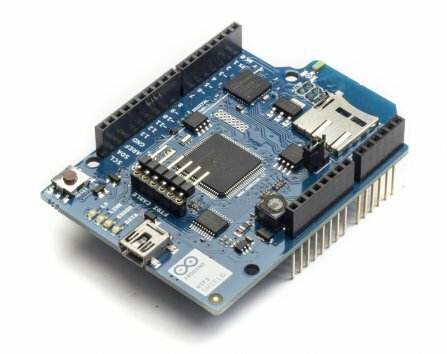 It also hosts a webpage via which you can command your Arduino remotely. You might be able to procure this item locally. You can get it online here for around USD 100. 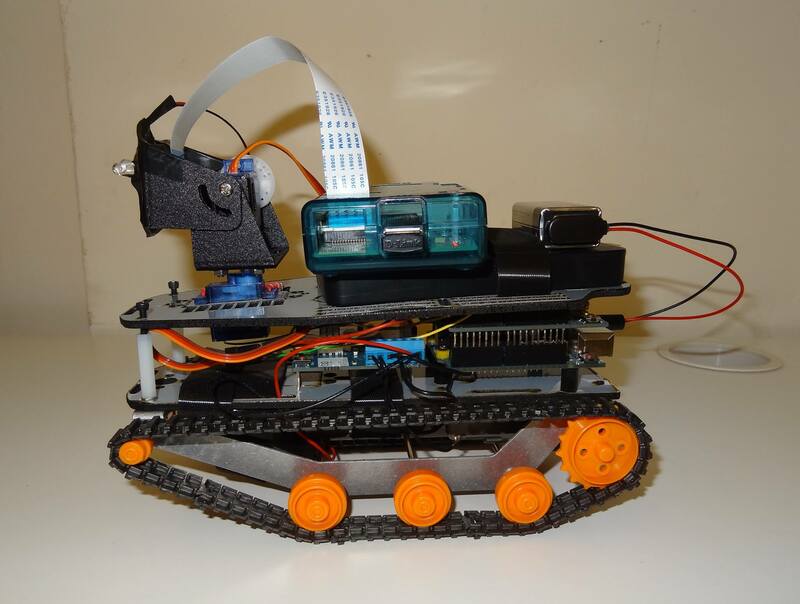 The Raspberry Pi does not play a major role except the eyes of the rover. It hosts a web server on which you can use as a viewfinder. Whenever I buy a Raspberry Pi, it is obligatory for me to install RPi web interface as it is too good. You can get it from here. 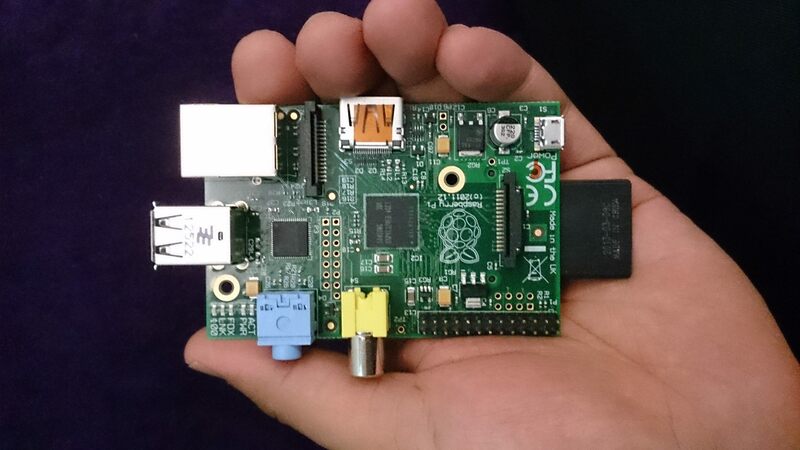 You should be able to procure the Pi locally for USD 35. I suggest using the Model A as it has lower power requirement and because you won’t require an ethernet port. I am using a NOIR camera as I want the rover to be able to see in complete darkness using IR leds. You should be able to get it for USD 30. This kit is what controls the direction of the camera and the IR leds are mounted on it. You should be able to procure something similar locally. If not, you can get it here for USD 15. I began the assembly with the Tamiya Twin motor gearbox. There are so many components to be put together that you are bound to make mistakes and will have to undo and redo. You can refer to this video if you happen to require help. The gears have to be put in configuration C as we are interested in power rather than speed. Also, because in configuration A and B, the tracks become very tight. 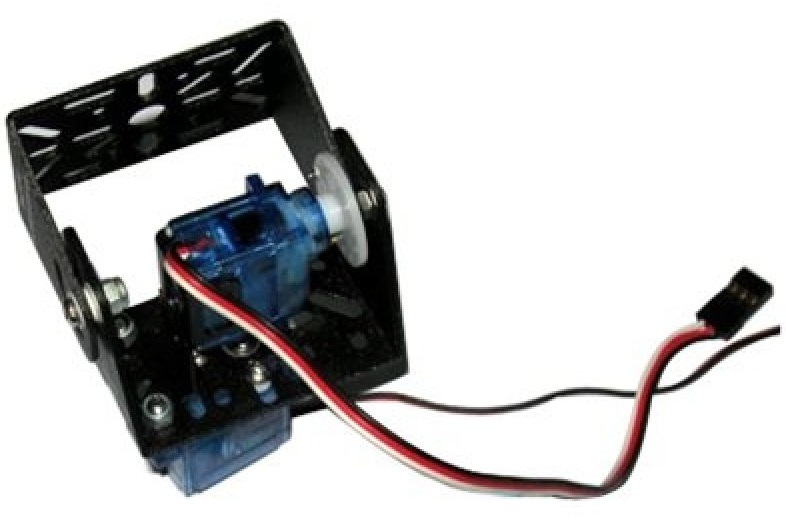 Note: There are other gearboxes available from Tamiya which have different gear ratio options but those gearbox are wider and will not fit the chassis. You will require all custom components if you have to use that. 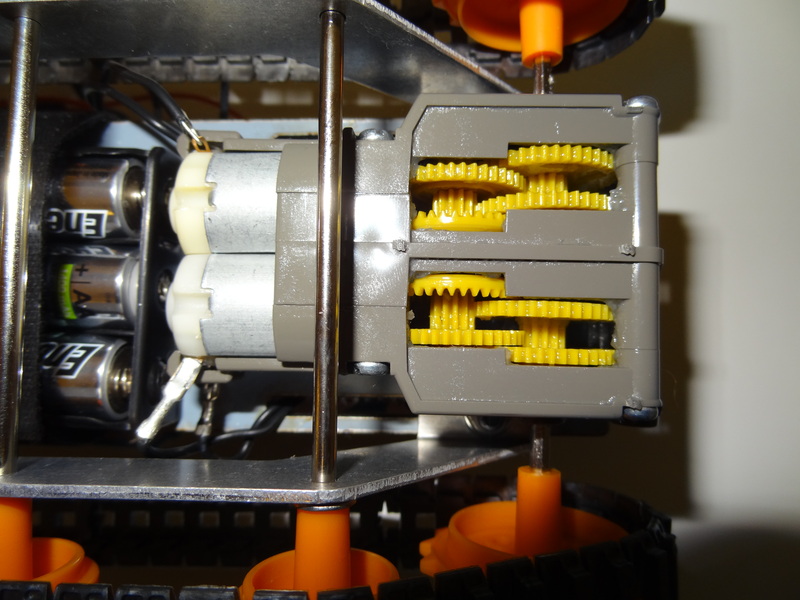 After assembling the gearbox, it has to be connected to the base plate along with the metal brackets. 2 equal sets of tracks have to made for each side of the rover and you will consume all the pieces of track. 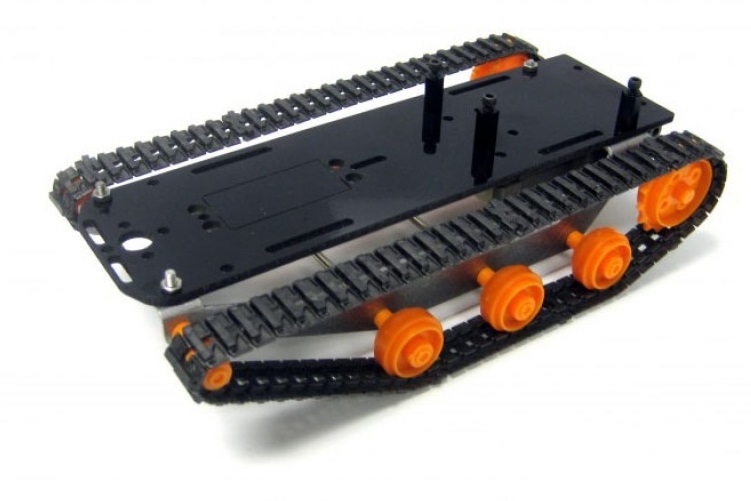 While putting the wheels together with the tracks, it is necessary that the wheels are aligned or else the tracks will come off. This completes the body of the rover. In order for the motor shield to function properly, you need a minimum connections with the base shield. 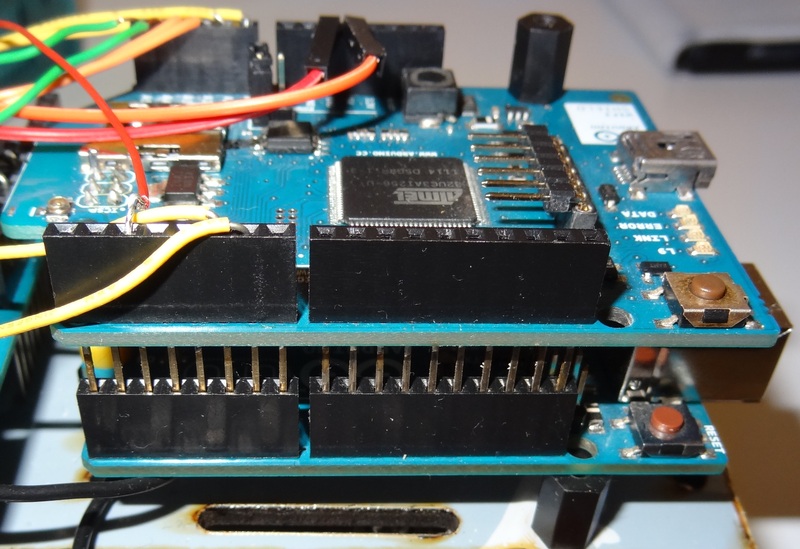 The Vcc and gnd of the motor shield and arduino uno should be connected to each other or else the motors will not work properly. Since there will be many components connected to Vcc and gnd, I have used a piece of perfboard for common Vcc and gnd connections. Also note that I have not connected the Vin together. 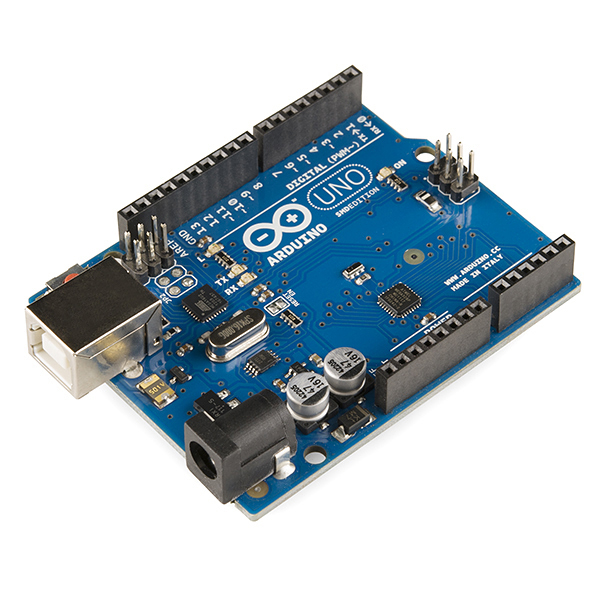 I am using independent power for the motor shield and the Arduino Uno. 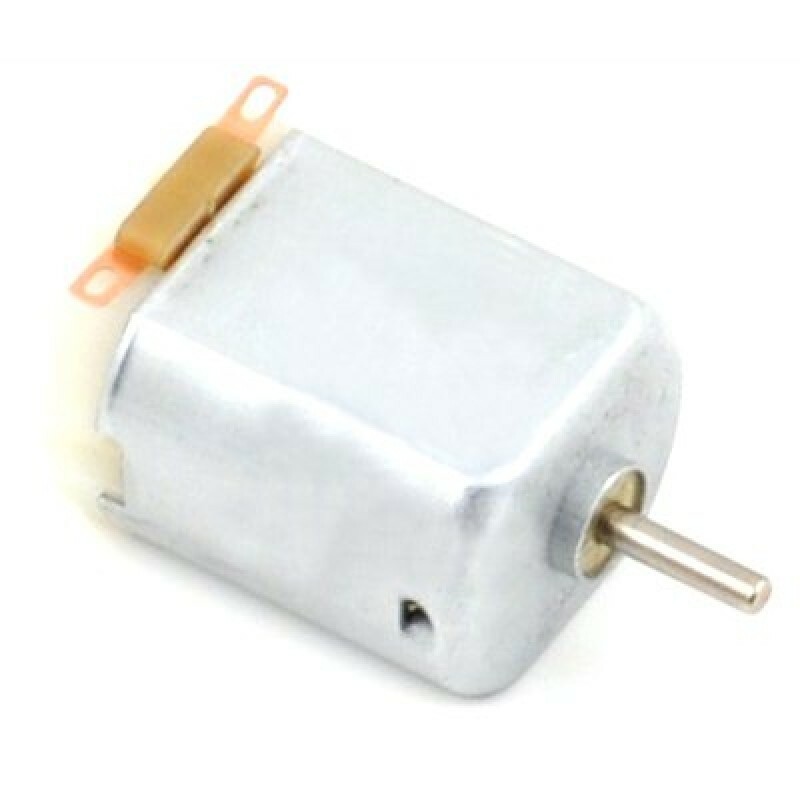 This is because when the Vins are connected, the batteries are not able to provide enough power to the motors and the motors are very slow. Note: The polarities on the input terminal of the motor shield is + and – from right to left but the battery terminal is opposite. I have connected once the battery terminal wrong and the whole circuit got shorted and the battery holder plastic melted due to the heat. Luckily none of the component got damaged. We have used the Raspberry Pi to form the eye of the project. 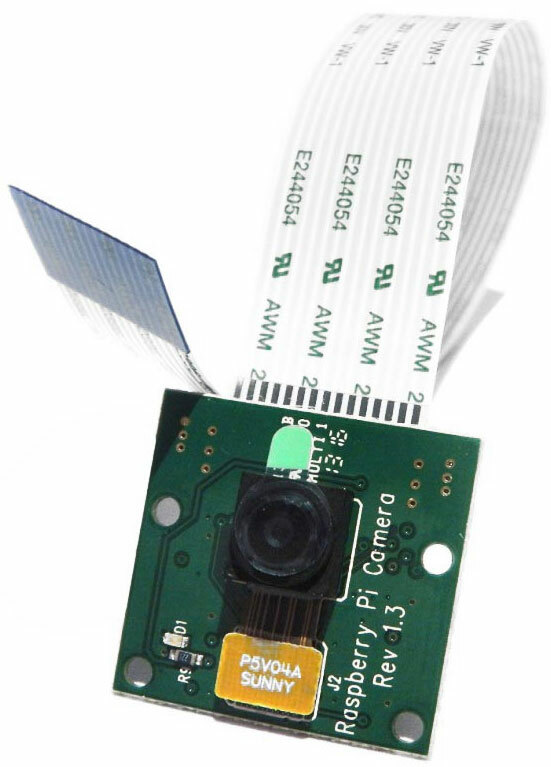 What good would it be if we are not able to move the Raspberry Pi camera especially in the presence of an Arduino. I have connected a Pan Tilt mechanism to move the camera in different directions. 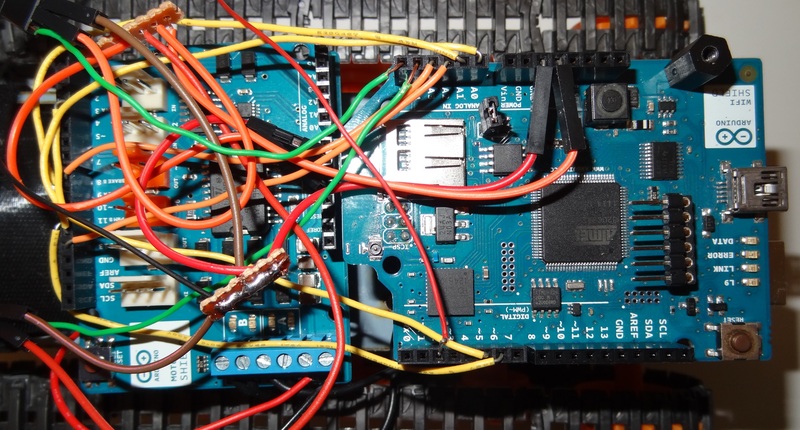 The control pins of the servo motor has been connected to A5 and A6 pins of the Arduino Uno. Since the camera has IR capabilities, I have connected a set of IR Leds upfront so as to be able to see in pitch darkness. This is a sample video of the rovers capabilities. The video shows the view from the rover and the inset is the shot of the rover and its movements. 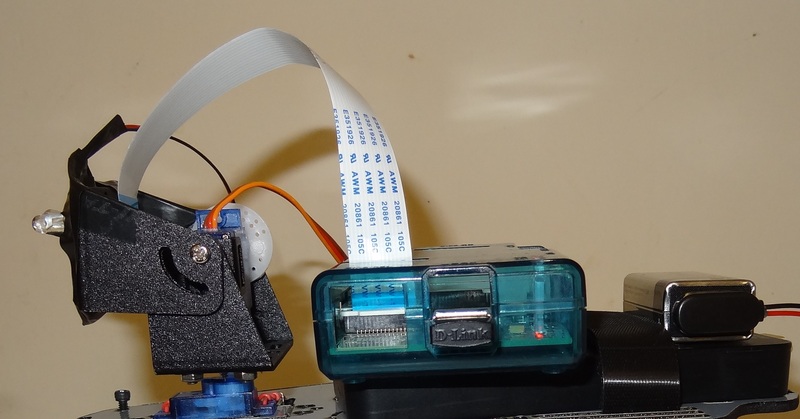 This entry was posted in Connected Home, Internet of Things, Raspberry Pi and tagged Arduino motor shield, Arduino Uno, Arduino wifi shield, Internet of Things, Raspberry Pi, stacking by samirsogay. Bookmark the permalink. 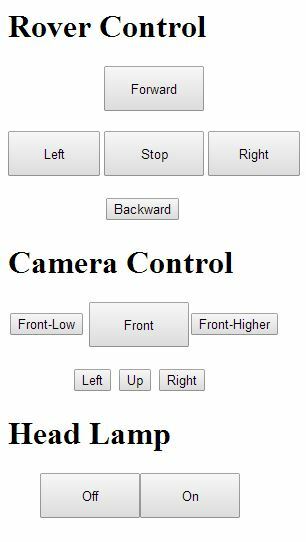 Raspberry pi is just used for camera feed and not for controlling anything. You can reread the Raspberry pi section and it has link to the software for live feed.